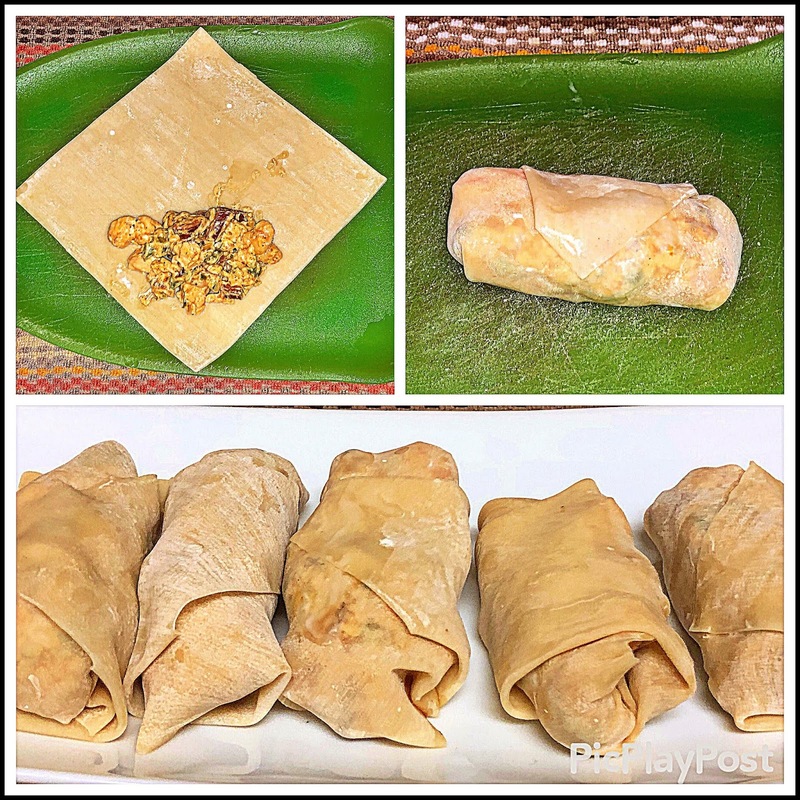 I'm taking part in the JSL Twin Dragon Asian Wrapper Blogger Recipe Challenge -- which is seeking creative spins on traditional egg rolls, wontons, and dumplings. 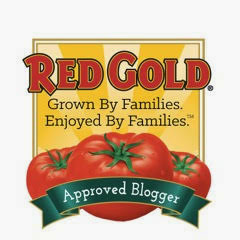 JSL Foods' Twin Dragon Wrappers are non GMO, vegan, and manufactured using natural ingredients. 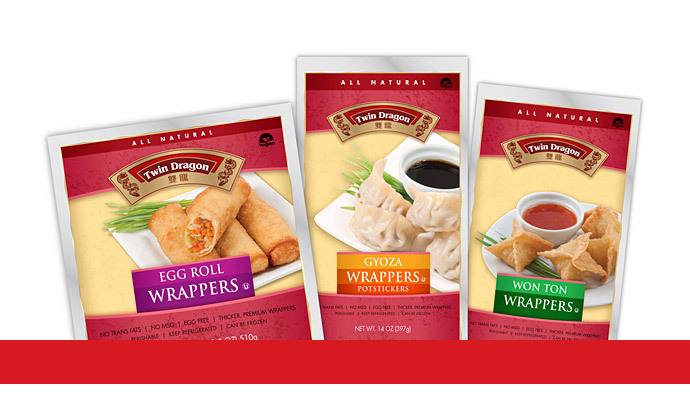 In fact, Twin Dragon brand wrappers are the only Asian wrappers that are vegan. 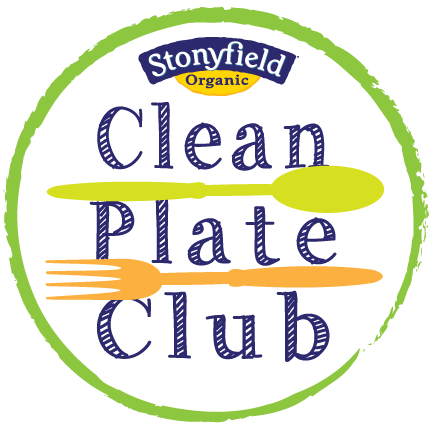 These wrappers are super easy to work with, and the results are consistently perfect -- whether they're boiled, steamed, or fried. 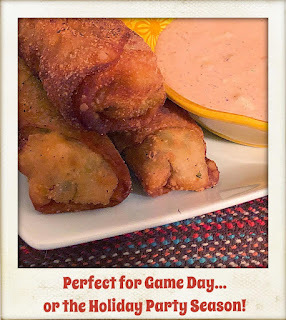 Between the holiday season and weekly Houston Texans game watch parties, I'm always looking for fun new appetizers to share! My first thought was to use the Twin Dragon egg roll wrappers to make a handheld appetizer with the big flavors of New Orleans. 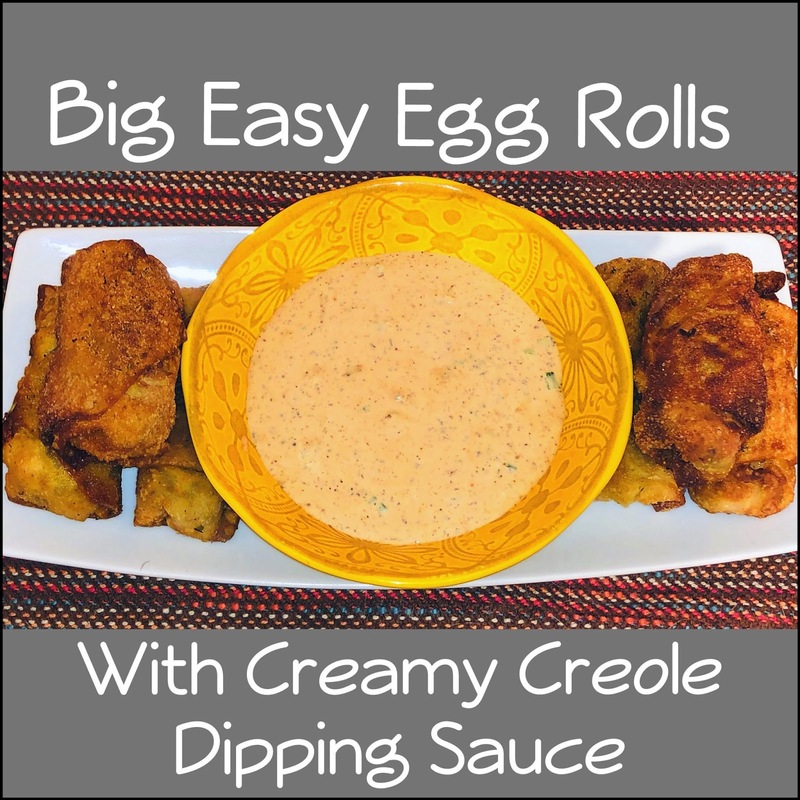 What I came up with was an original recipe for Big Easy Egg Rolls with Creamy Creole Dipping Sauce. 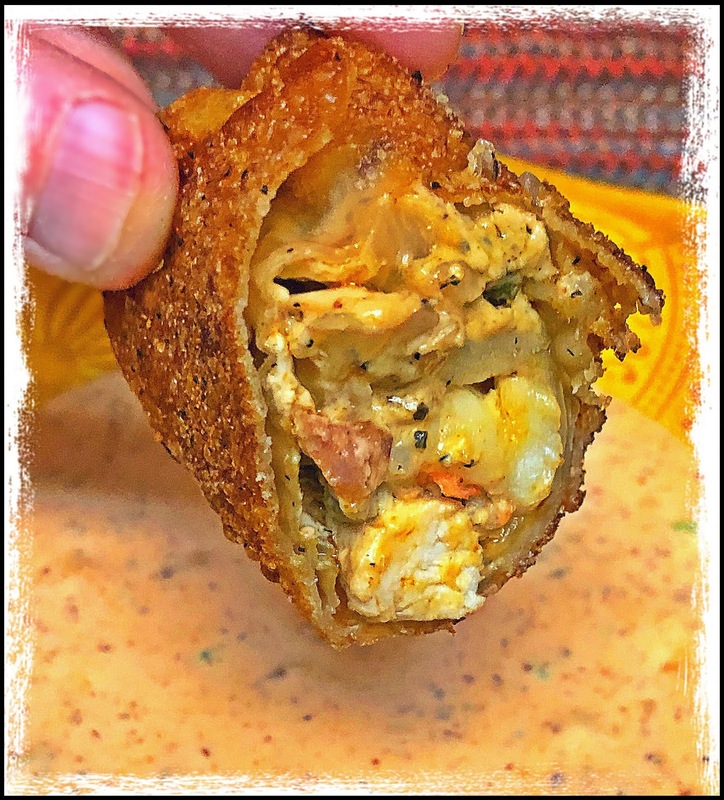 These tasty egg rolls feature classic Louisiana flavors like sausage, shrimp, and chicken; sautéed onion, celery, and bell pepper (aka trinity); hot sauce and Creole seasoning for spice; and a bit of luscious cream cheese to bind all of the yummy filling ingredients together. 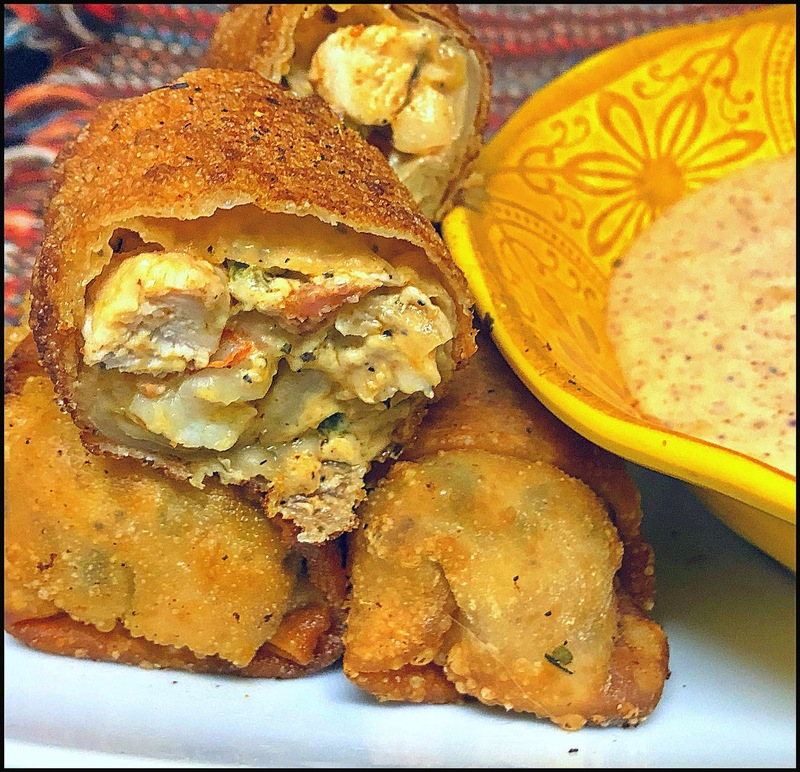 After they're fried, the egg rolls are served with a quick creamy remoulade sauce on the side for dipping. Get ready for rave reviews when you serve these appetizers at your next party -- everyone who tries them goes crazy for them! Step 2: Add the olive oil to a non-stick skillet over med-high heat. Add the celery, onion, bell pepper, and 1 tbs. of Creole seasoning. Cook until the veggies begin to soften, about 3 minutes. Turn heat to medium and add the sausage. 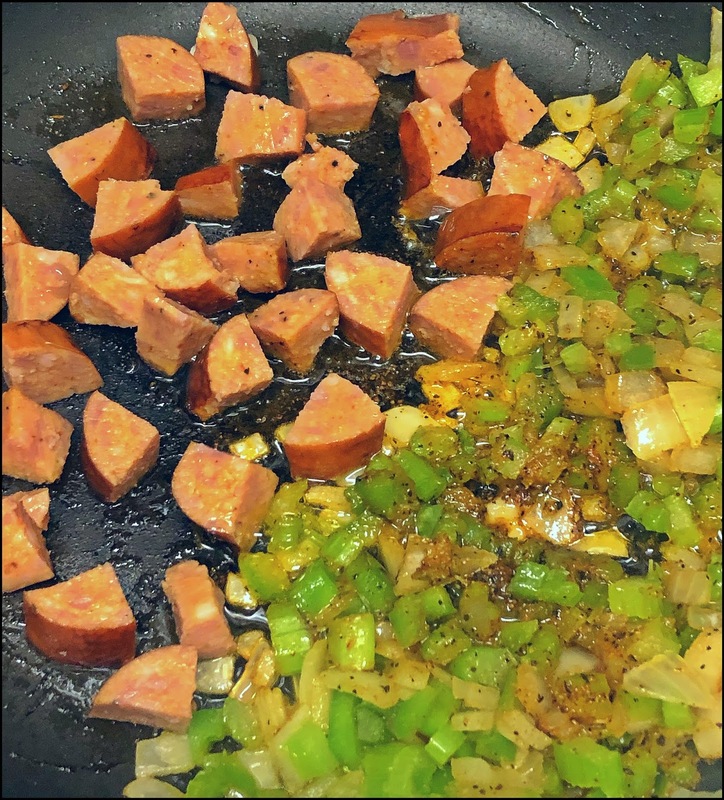 Cook for approximately 5 minutes, until the sausage is browned. 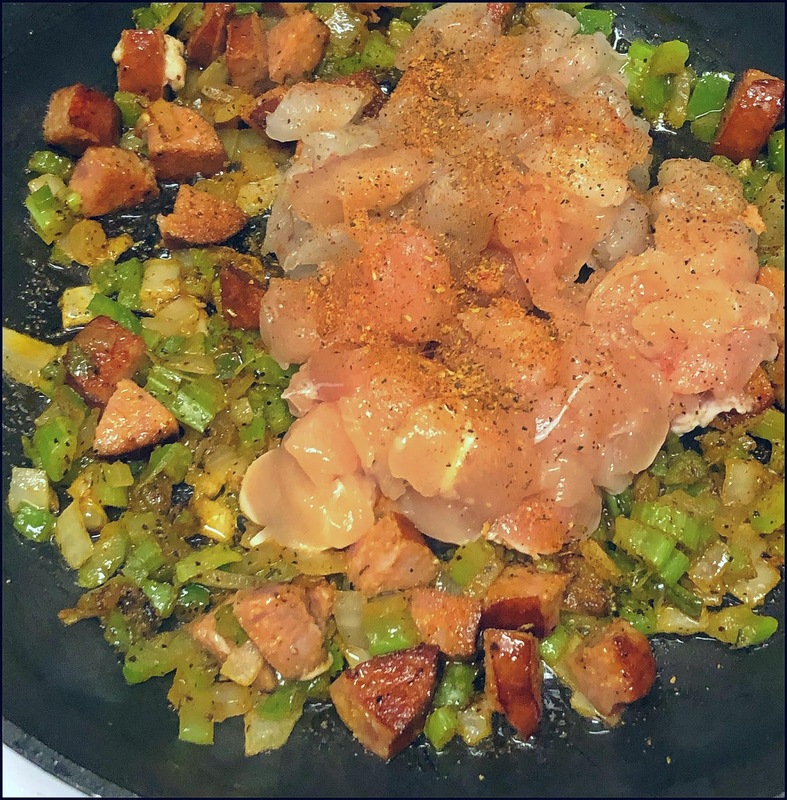 Step 3: Add the chicken and shrimp to the pan and sauté until cooked through. 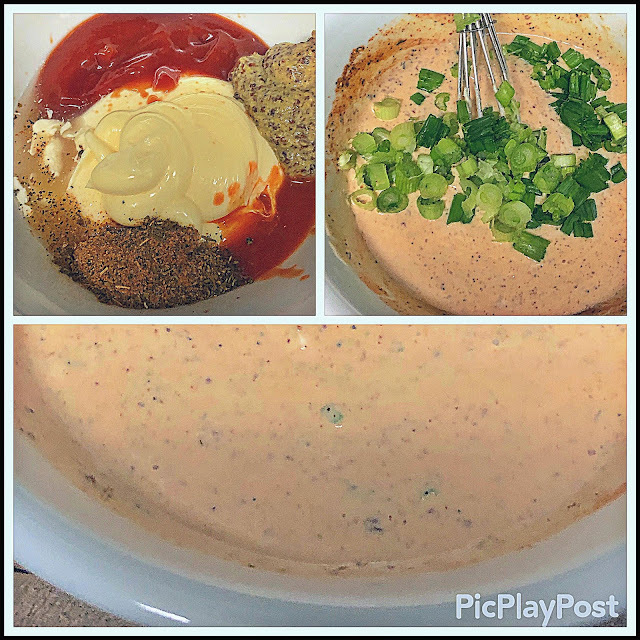 Add the cream cheese, hot sauce, and remaining tbs. of Creole seasoning. Stir until the cream cheese melts and is evenly incorporated with the veggies and meats. Cool the filling mixture slightly. 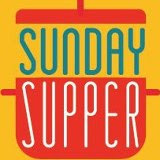 Step 4: Place an egg roll wrapper on a large plate, in the shape of a diamond -- with the pointed ends vertical. Place approximately 1/3 cup of the filling in the lower half of the wrapper. Fold the sides in over the filling, then roll the wrapper over the filling, away from you...tucking as you go. Brush the inside of the wrap with water as you roll tightly, which will ensure a tight seal. Seal the edges with more water and lay seam side down. Repeat the process with the remaining wrappers. Step 5: Heat vegetable oil in a skillet with high sides over med-high heat for about 5 minutes. 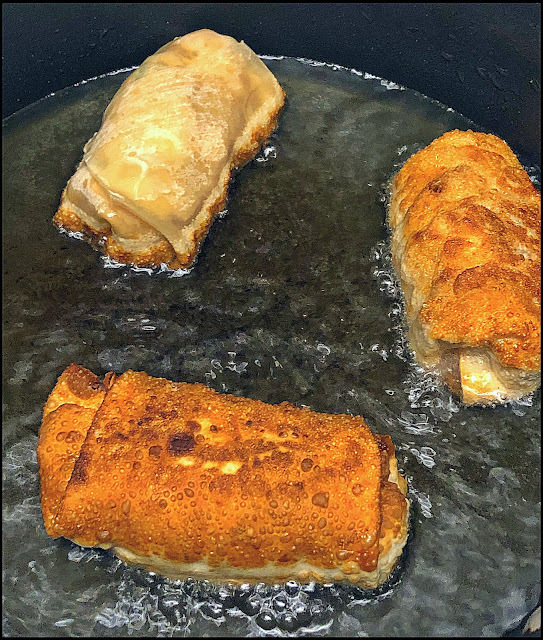 When the oil is hot, fry the egg rolls in two batches of three. This avoids crowding, which causes soggy egg rolls. Cook until golden-brown on one side, then flip over and cook until the other side is browned. 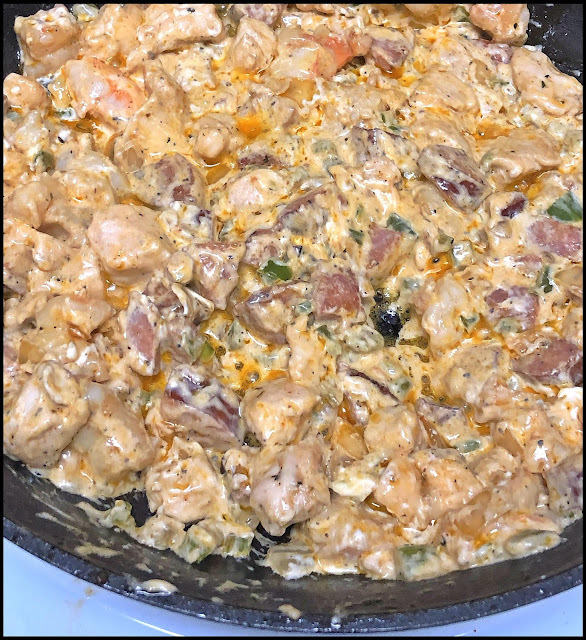 Drain well on paper towels and sprinkle with additional Creole seasoning. Place the egg rolls on a serving platter, with a bowl of the creamy dipping sauce in the middle. This fun spin on traditional egg rolls is amazing! The filling is spicy, but not overly so -- the cream cheese cools things off nicely. 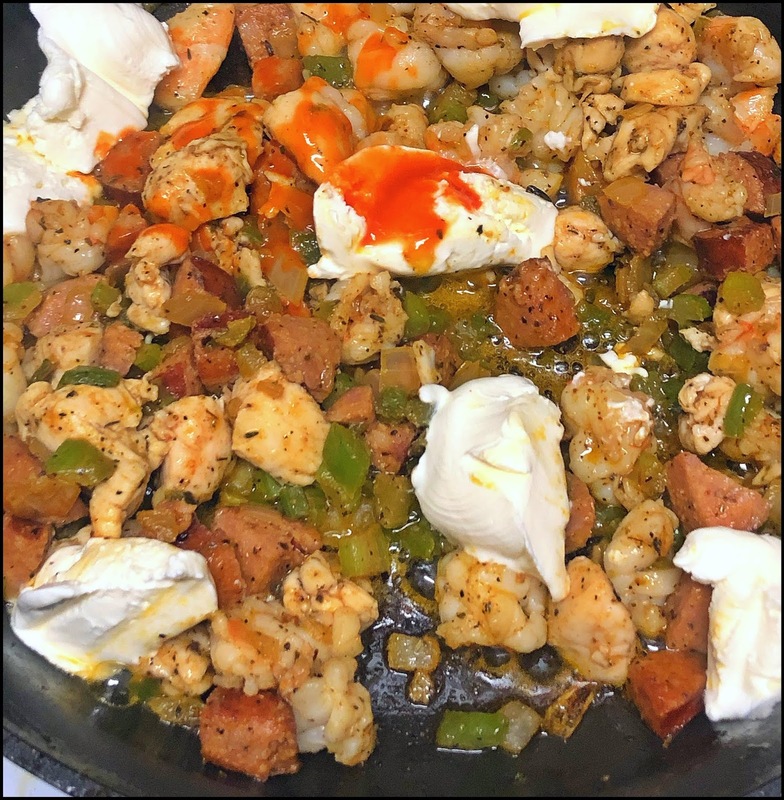 Feel free to adjust the amount of hot sauce and Creole seasoning used to match your personal spice tolerance. The delicious dipping sauce is basically a quick remoulade -- tangy and a bit spicy! It perfectly compliments the egg rolls. 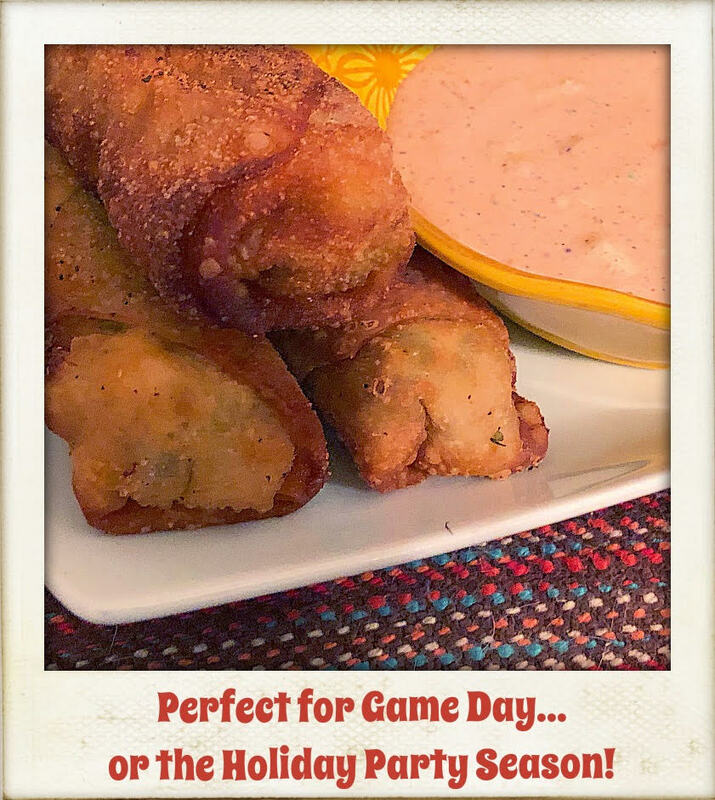 Make a batch of these egg rolls for your next gameday or holiday party -- and let the good times roll! 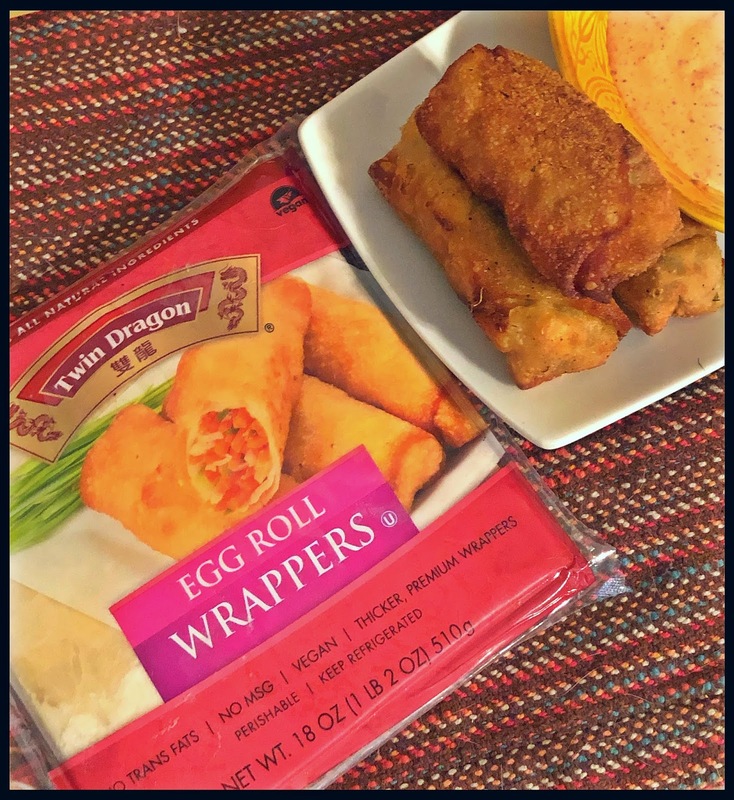 To learn more about JSL Foods and Twin Dragon Asian Wrappers, be sure to visit their website, Twitter feed, and Facebook page. You can purchase JSL Foods Twin Dragon products at major grocery retailers, including: Albertsons, Shaw’s, Von’s, Stater Bros, Lucky’s, Food Maxx, Fred Meyer, QFC, Cub Foods, Rainbow Foods, Safeway, Associated Stores, Price Rite, Shop Rite, Winco, Price Chopper, and Gelson’s! Disclosure: I was provided packages of Twin Dragon Asian Wrappers to facilitate recipe development and participation in the JSL Foods' Twin Dragon Asian Wrapper Blogger Recipe Challenge. All opinions shared are solely my own.